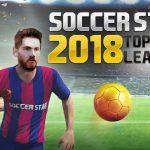 Soccer Star 2017 World Legend MOD APK is a soccer Android game from Genera Games.Game will require your skills to test.its a different kind of sport soccer games which you will be seeing.game title may seems familiar but its a different Soccer star game than the others.new update 3.2.7 arrived with MOD unlimited money. 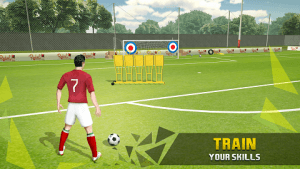 At starting of the game you will be taught to select players and their nationality.once you have selected it you will be thrown to how to play tutorial stage.where you will have to shoot goals. Pass the ball to the player and he will make a goal. 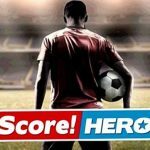 that player is of course AI Controlled.This game will remind you of Score hero something similar game. 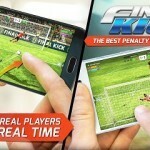 It has full matched but only in written texts it means whatever happening in the match will be written in texts and when penalty part comes you will have to make a goal yourself. 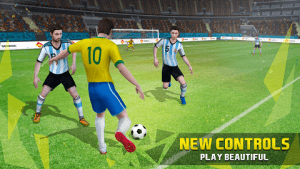 pass ball to your player or kick for a goal. 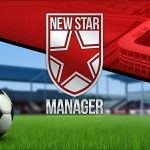 Each win will reward you coins and money.you can use them to purchase outfits,sports drinks and different investments as well.There is energy system which can be purchase through unlimited coins and it also can be refilled automatically over time.complete different goals and achievements in the game.you can also purchase game accessories from the store with our MOD APK Soccer star 2017. 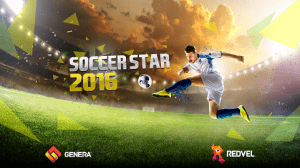 Hire agents or get a trainers all the stuffs requires Gold coins.You can see your rankings as well in global or compete with friends.buy boots or go to gym and make fitness of your players these all you can do in your Soccer star 2016 World legend mod game. Can you mod the latest version for this please? Thank you! game all time freeze and not 2017 its 2016. New version 3.2.6 update please thanks. It keep freezing, please fix this.. It has a bug sir . When you click to buy a boot . 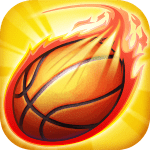 The game will freeze and nothing happen . Please fit it .